After the death of his parents, Jim was sent to live with his grandparents in Black Hawk, Nebraska. There he befriended Antonia, the daughter of Bohemian immigrants. Years later, Jim, now a successful lawyer in New York, returns to his childhood home and Antonia. 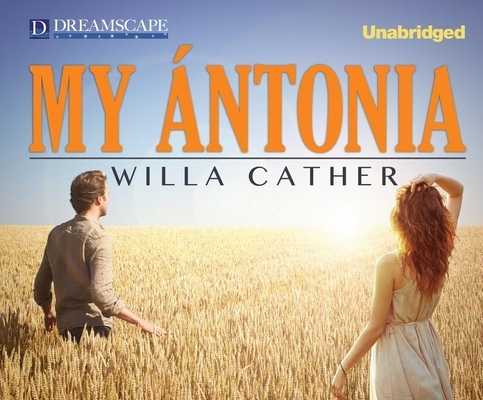 Jim's love for Antonia has endured, much as she herself has endured tragic circumstances. Willa Cather (1873-1947) was an American author and Pulitzer Prize winner. She was noted for her novels of life on the Great Plains, including My Antonia and O Pioneers! READER BIONicholas J. Mondelli is an English student at the University of Toledo and an aspiring author, poet, and artist. He has been on stage for most of his life, at both the education and community level, and has been singing just as long. He's a hobbyist with his fingers in multiple projects of the arts, including music of which he plays three instruments and collaborates with Boston musician Terrance Reeves. His current project is a biography on his grandfather, the late Italian-American Joe Mondelli, which has taken him all across the country and, soon, to Italy.